HURRICANE – A driver making a quick lane change clipped another vehicle and was then hit from behind on West State Street in Hurricane Tuesday afternoon. Just after 1 p.m., a woman driving a Toyota Corolla was heading eastbound on State Street and made an abrupt lane change to avoid heavy traffic as she approached the intersection of State Street and 5300 West, Hurricane City Police Sgt. Jeff Adams said. 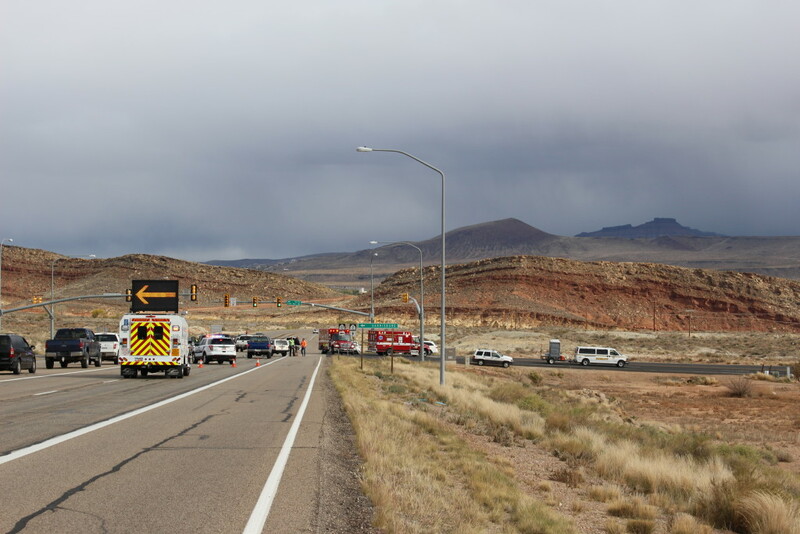 Moving into the right-hand lane, the Corolla clipped the rear bumper of a Ford pickup truck and was then hit from behind by a Jeep Grand Cherokee. 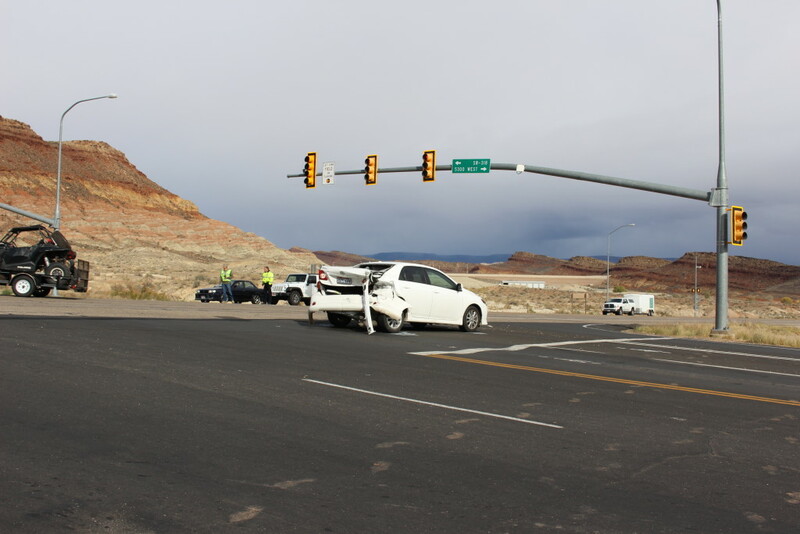 The impact from the Jeep pushed the Corolla through the intersection, Adams said, until it finally came to rest facing the wrong direction on 5300 West. 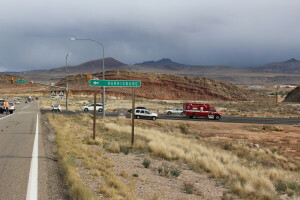 The driver of the Corolla, a 23-year-old woman, reported minor injuries but declined ambulance transport to the hospital, as did the driver of the Jeep. 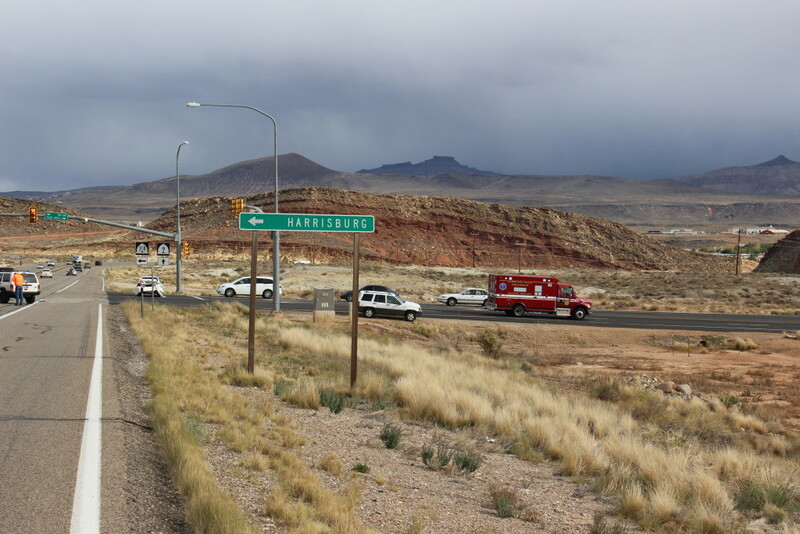 The 53-year old man driving the pickup truck sustained no injuries. 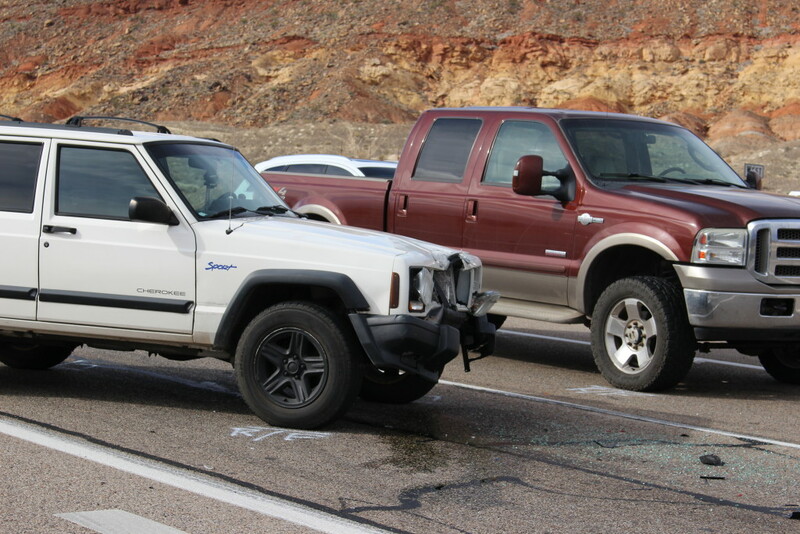 The Corolla and Jeep, both with single occupants, suffered extensive damage and each was towed from the scene. The Ford sustained only minor damage to the rear bumper and was driven from the intersection. 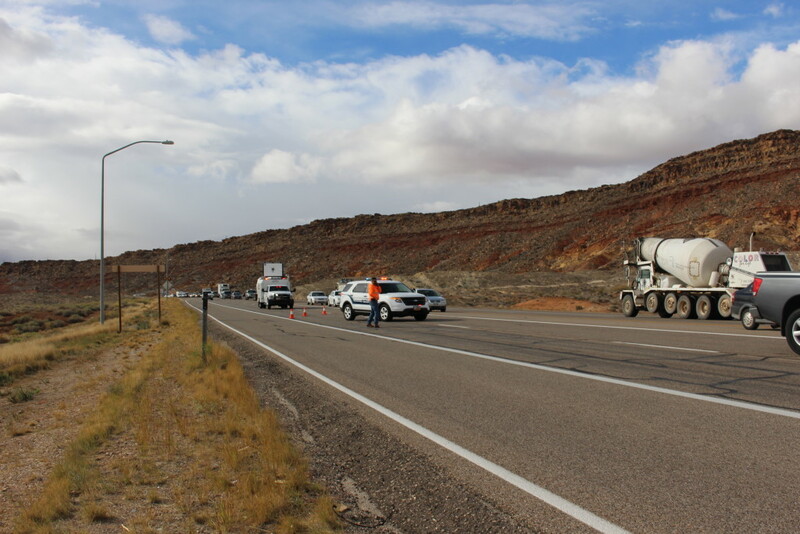 The Hurricane City Police Department, Washington County Sheriff’s Office, Hurricane Valley Fire and Utah Department of Transportation Incident Management Team attended to the scene. Washington County Drug Task Force was in the area and assisted emergency responders, as well. The accident is still under investigation, Adams said, so no citations had been issued at the scene.